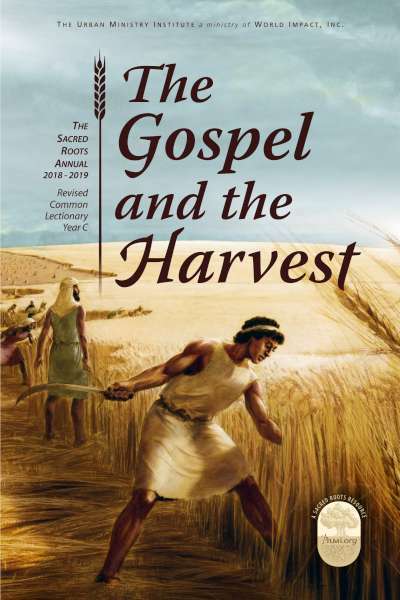 This year’s theme for the Sacred Roots Annual is The Gospel and the Harvest. The core message of the New Testament, perhaps even of the entire Scriptural corpus, is the Gospel of our Savior. The term Gospel means “Good News,” and refers to the message of life which outlines God’s design to save humankind and reestablish union, blessing, and peace between his creation and himself. This was accomplished through the person and work of Jesus Christ, who offered himself as an atoning sacrifice to God for the sake of all the children of Adam. Although we have sinned and fallen short of God’s glorious standard of righteousness (Rom. 3.23), God loved us and offered his Son to us as a sacrifice for our sins, and its eternal penalty, death (Rom.6.23). This gift of life through the Gospel is freely given to us by God, not as a result of our efforts or own doings, and it is given to all people, regardless of their background, knowledge, or pedigree. While we all were still sinners, Christ Jesus died for us, and his death is the most concrete demonstration of God’s love ever revealed to humankind (Rom 5.8). Now, through faith in Jesus, all people–every single person–can be saved from sin’s penalty, power, and presence. Only faith in the Good News and its offer of life is necessary or sufficient (Rom. 10.9-10). The harvest is Jesus’ metaphorical and symbolic reference to the vast numbers of doomed humanity who have yet to hear of this offer of grace and life. “And Jesus went throughout all the cities and villages, teaching in their synagogues and proclaiming the gospel of the kingdom and healing every disease and every affliction. When he saw the crowds, he had compassion for them, because they were harassed and helpless, like sheep without a shepherd. 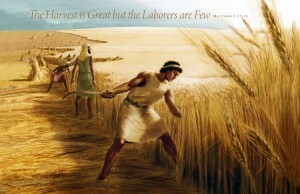 Then he said to his disciples, ‘The harvest is plentiful, but the laborers are few; therefore pray earnestly to the Lord of the harvest to send out laborers into his harvest” Matt. 9:35-38 (ESV). Jesus described the multitudes who needed the grace of our God as a harvest field, and the Gospel proclaimers who go to them with the Good News of life as workers in that field. The concepts of Gospel and the harvest are integrally connected; the Gospel is God’s message of life designed for the lost, those dear folk who desperately need to hear and respond to God’s Good News offer of salvation in Christ. As is our custom, we have devoted our entire Season After Pentecost, Ordinary Time period focusing on the Gospel of Jesus Christ. We’ve entitled this series Words of Life. We hope to take a deep spiritual and intellectual dive into the premiere New Testament passages on the nature of the Gospel and its implications for the lost. These texts represent a kind of biblical “Who’s Who” on the critical texts summarizing the depth of meaning and life of the Gospel. We desire to become better acquainted and grounded in the images, stories, metaphors, and statements of the Gospel, trusting that we will also become more assured of our own salvation, and be better equipped to share that Good News with others, as the Spirit leads. Below you will find the outline for our study of the Words of Life, in the order it is taught, with a brief description. We commence this study after the celebration of Trinity Sunday. This remarkable listing of New Testament passages on the Gospel promises to teach us much regarding the treasure of the Gospel message, and the wonderful privilege we have in both embodying and declaring that message in our lives and words with the lost around us. 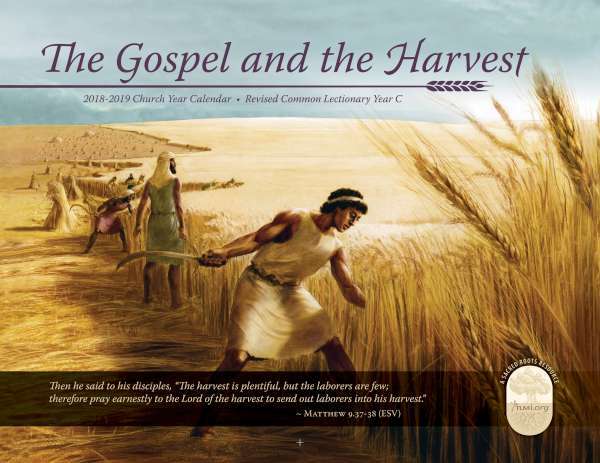 Our reading materials this liturgical year focus on the nature of the Gospel and the Harvest’s themes, i.e., the texture and structure of the Gospel message and the corollary charge for the Church to go into all the world and preach that Good News to the lost. 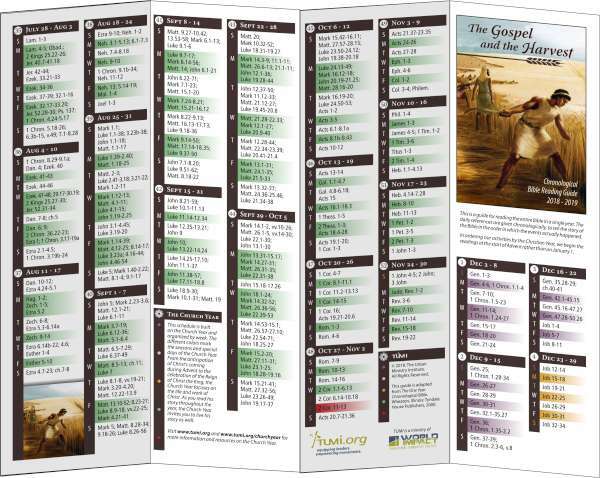 While there are a number of great texts written on the nature of both of these themes, the books we chose for this year highlight the major concepts and challenges associated with the Gospel and the harvest, and should stimulate great discussion and reflection on these essential biblical themes. Unfortunately, we had to limit the texts and materials we would concentrate on this year, and so the following texts are our choice to explore the meaning of the Gospel through the lens of biblical study, biographical experience, and good missiological theory on how we ought to commit to sharing the Gospel with the world. Please join us in reading these works on the Gospel message, and how that Gospel has influenced people to share its treasure with the world.